It’s a busy time for Hyundai following their i10 winning the Continental Irish Small Car of the Year 2015 award. The Hyundai distributor has ambitious plans to rise to third position in the Irish new car market with a share of 9.5 per cent by the end of next year. 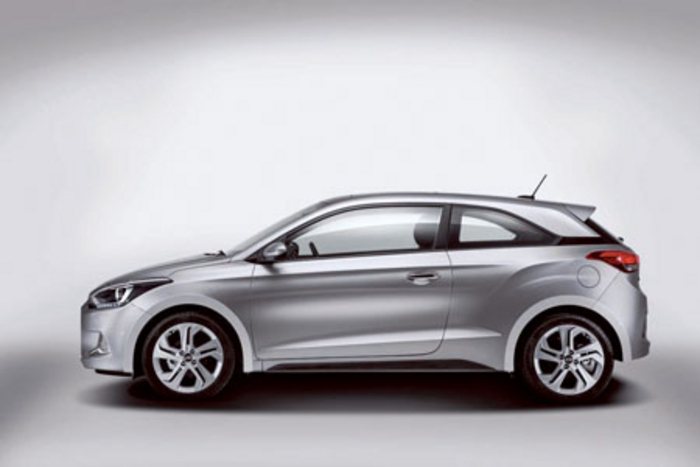 Hyundai Ireland just launched the new i20 hatchback here, with an entry level Classic price of €15,995 for the 1.25-litre petrol (75hp ) version. In addition, the latest new model announcements from Hyundai Motor Europe’s Product Momentum 2017 launch programme have been revealed. These include the new i40 and i40 Tourer, the new i20 Coupe, and the addition of a new i30 Turbo. Hyundai Motor Europe has today introduced its new i40 Tourer and Saloon, enhancing the brand’s product line-up in Europe’s competitive D-segment. For the first time, Hyundai has created a three-door B-segment car that is significantly differentiated from the five-door model. Its dynamic exterior and striking interior design are intended to attract young, lifestyle-orientated consumers, extending the appeal of the New Generation i20. New Generation i20 Coupe has its own unique silhouette. The raked A-, B-, and C-pillars are markedly different from the five-door model, providing the Coupé with a more dynamic profile. And finally for now, Hyundai has introduced a range of enhancements to the new i30 range, including the addition of a range-topping i30 Turbo, a more performance-orientated model delivering a Nürburgring-tuned 186PS and featuring exclusive sporty design features. The complete range has been enhanced with improved engines, a new seven-speed dual-clutch transmission, safety and comfort features and refreshed exterior design, intended to make Hyundai’s top-selling model even more appealing. On sale from 2015, the new i30 range boasts improved engine efficiency across the new car’s three bodystyles: three-door, five-door, and Tourer. The new model range offers fuel consumption as low as 78.4mpg and CO2 emissions as low as 94 g/km. Page generated in 0.0965 seconds.